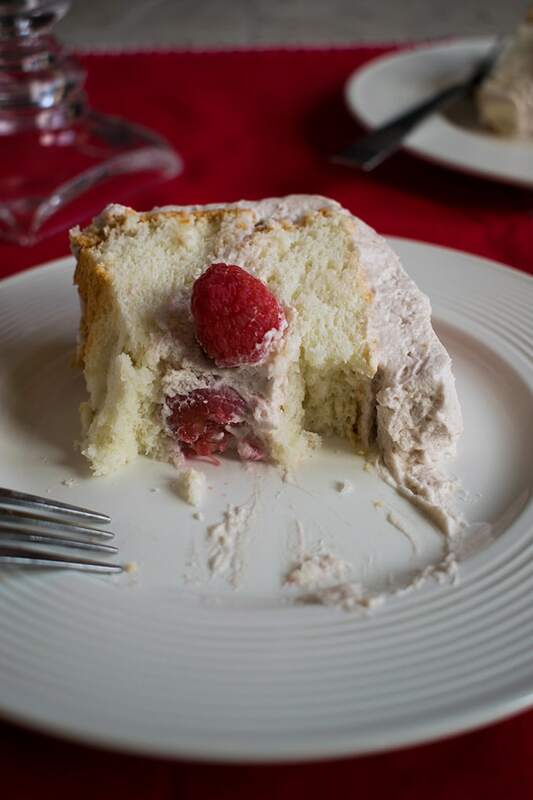 Raspberry-Almond Angel Food Cake is a hit in my family! 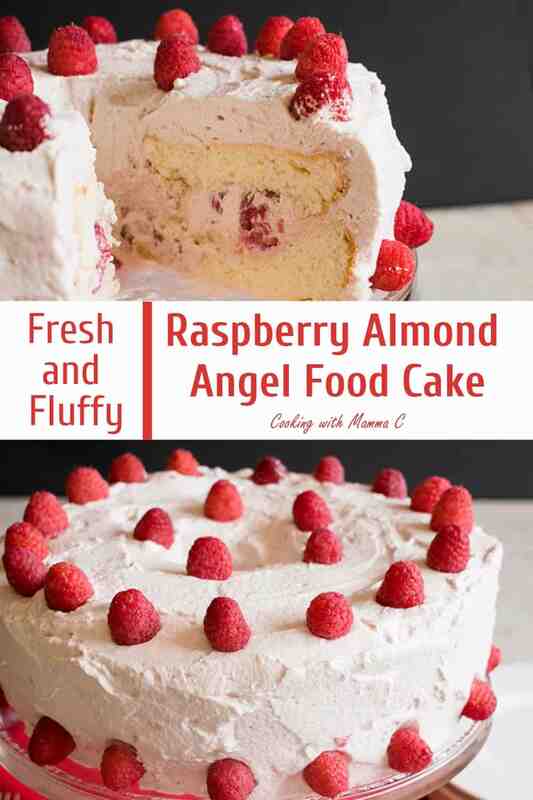 Featuring fresh, almond angel food filled and topped with raspberry-almond whipped cream and fresh raspberries! Plus, store-bought vs. fresh. 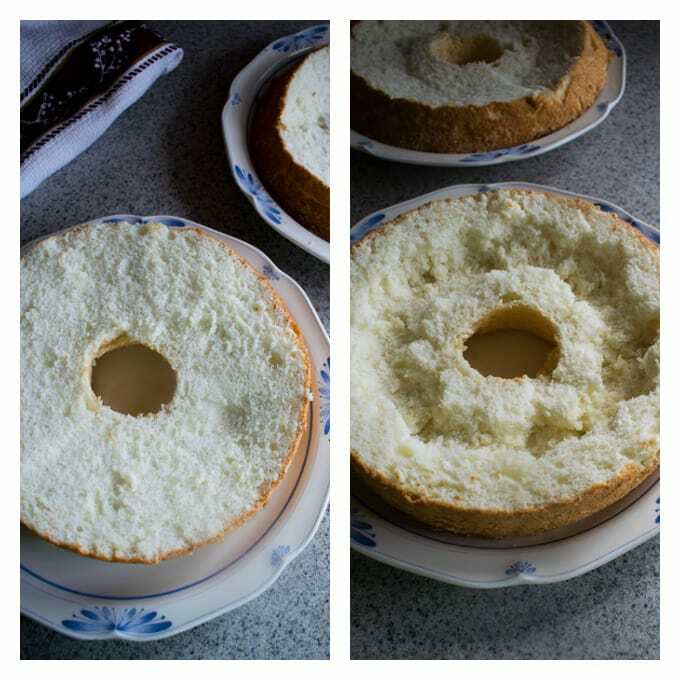 Can we talk about angel food cake? I feel the need to impart some important information. 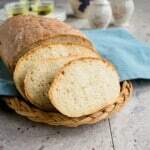 Forget the ready-made angel food you buy at the grocery store. It’s dry. And, who knows how long it’s been sitting there? You can make the cake from scratch, as I’ve done here. Homemade angel food is soft, fluffy and divine. It blows the store-bought one out of the water! 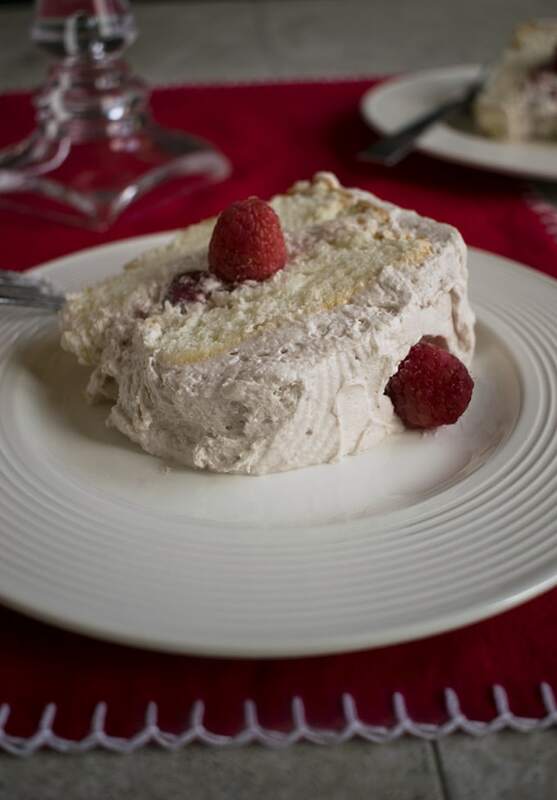 This raspberry-almond angel food cake needs to go on your must-make list, pronto. It’s a big hit in my family. It’s perfect for Mother’s Day, anniversaries, spring birthdays and look-who’s-home-from-college days. Yes!! You’ll start with fresh angel food cake flavored with almond extract. Then, you’ll split the cake in half. You’ll dig out a tunnel of love in that bottom layer. You’ll stuff your face with all the cake morsels that, sadly, aren’t needed for the finished product. 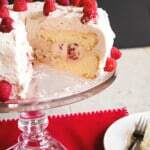 Then, you’ll fill that tunnel with luscious raspberry-almond whipped cream, combined with fresh raspberries. You’ll place the top half of cake over that glorious layer, then frost the top and sides with more raspberry-almond whipped cream. Then, you’ll decorate the cake with more fresh raspberries (and probably do a better job than I did here). If you used to love those raspberry-cream-swirl ice cream bars (bring ’em back! ), you’ll do a happy dance over this cake. The predominant flavor is raspberry, with a hint of almond providing the perfect complement. And, if you want to be naughty, feel free to douse your slice of cake with liqueur such as amaretto or Chambord. Oh, behave! A few more things to cover before I let you go and make your grocery list. 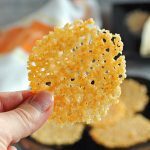 You’ll need a dozen egg whites, and they can’t have any trace of yolk in them. I use an egg separator. * Tip: Drip one egg white at a time into a liquid measuring cup. Then add the single egg white to your mixing bowl. If you mess up, you’ll just have to replace one egg white. You’ll need to beat your egg whites for a while to get a stiff meringue. A stand mixer* comes in handy. Enjoy! And, if you’re a fan of fluffy cakes topped with whipped cream, you should check out this Orange Torte with Whipped Cream, a Swedish recipe that’s been in my family since the 1960s. Fresh, almond angel food filled and topped with raspberry-almond whipped cream and fresh raspberries! See notes if you want to use an angel food cake mix. Set out an ungreased 10-inch tube pan. In a medium bowl, whisk your dry ingredients (1 cup flour, 3/4 cup sugar and 1/2 teaspoon salt) together. Set the bowl aside. Add your vanilla and almond extract to your bowl of egg whites. Beat with a mixer, using a whisk attachment, on medium high for about a minute, just until the whites are frothy. Sprinkle the cream of tartar on top of the foamy whites and continue beating on medium high until soft peaks form, which should take 2-3 minutes. Add your sugar 1/4 cup at a time (3/4 cup sugar total) until fully incorporated. Continue beating until you have a stiff and glossy meringue. (Test it by turning off the mixer and lifting up your beaters. Notice whether the peaks in the egg whites stand up firmly; if they fall over, they're still too soft.) 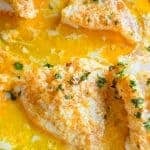 It will take several minutes to get stiff egg whites, as shown in the picture in the post. Use a rubber spatula to gently fold your dry ingredients into your meringue, until you no longer see any flour in your bowl. Transfer the batter to your ungreased angel food cake pan. Smooth the top with your spatula. Place the pan on the center rack of your oven and bake for 40-45 minutes. (If you used extra-large egg whites, allow an extra 5-10 minutes for baking.) The cake is done when it's golden brown on top, the cake springs back when lightly touched, and any cracks are dry to the touch. Let the angel food cool by placing the cake upside down onto a funnel (the spout goes into the hole of the pan.) If you don't have a funnel, try a bottle with a narrow spout, or place the cake upside down on a cooling rack. 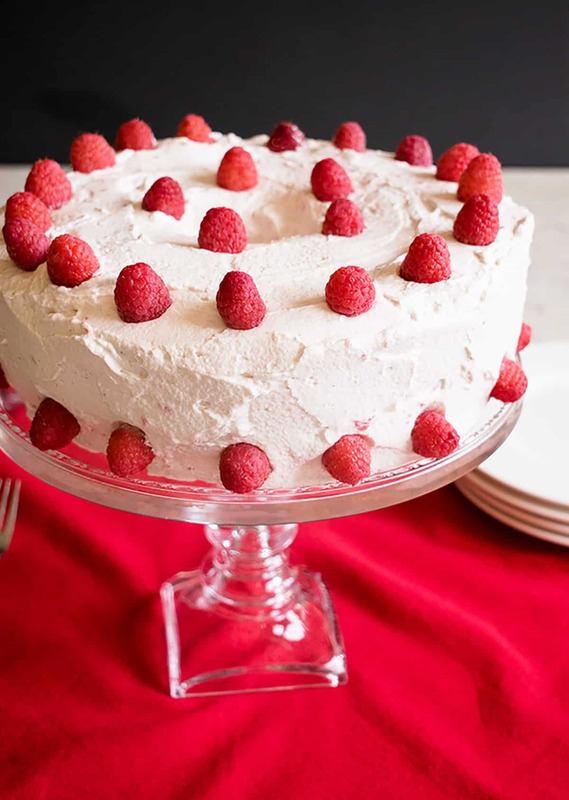 While your cake is baking, gently rinse your raspberries and remove any debris. Place the berries pointy-side up on paper towels to dry. 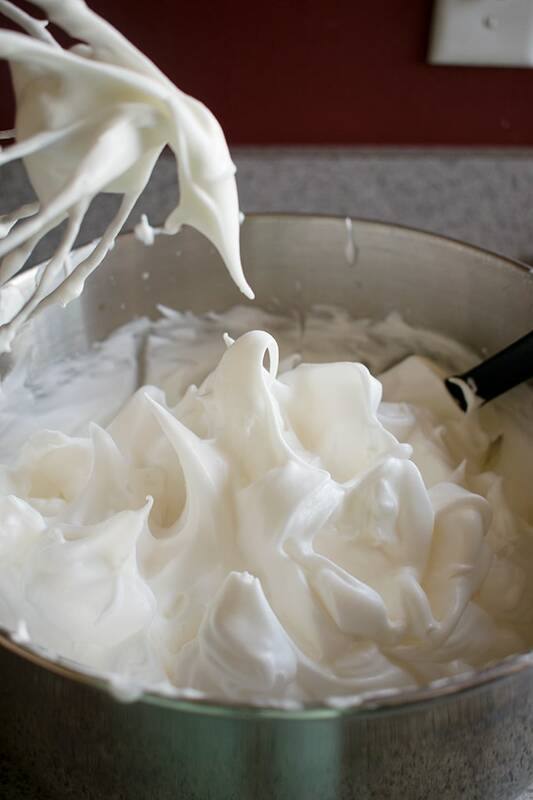 To make your whipped cream, place your heavy whipping cream in a clean, large, stainless steel mixing bowl. Add in the almond extract and beat with a mixer until frothy. Gradually add your fruit spread and confectioners sugar, beating until combined. Continue beating until you have stiff whipped cream. When your cake is cool, slide a knife around the edges of the pan and gently remove the cake, placing in onto a dinner plate, right side up. Have another dinner plate ready for when you split the cake in half. To assemble your cake, use a serrated knife to split your cake in half horizontally, into two equal layers. (See photos.) Set the top half aside on your extra plate. 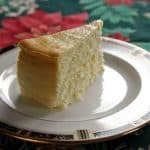 Dig out a tunnel in your bottom cake layer by gently pulling out morsels of cake about one inch from the edges all around and one inch from the center. Do not dig all the way to the bottom; you are making a ditch for the whipped cream. You can eat the cake morsels you pulled out; they're not needed for the cake. 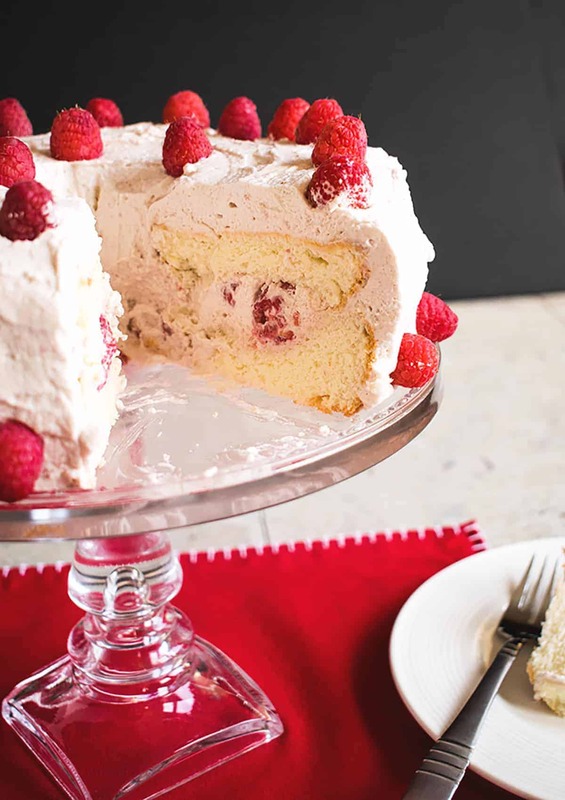 Fill the cake tunnel with your small portion of whipped cream that has the raspberries mixed in. Spread it over the bottom cake layer too. Place your top cake layer over the bottom layer, keeping the browned part on top. Frost your cake with the remaining whipped cream, making sure to cover the top, sides and inside the center hole. Decorate your cake with your remaining 6 ounces of dry raspberries. The cake can be eaten right away, but tastes great chilled. Serve plain or with liqueur like amaretto drizzled on top, if desired. Store leftover cake covered in the refrigerator for up to four days. If you decide to use a cake mix instead of making this from scratch, add 1 teaspoon of almond extract to the mix. After baking, cool the cake in the pan by placing it upside down over a funnel or narrow bottle as directed above. If you use extra-large eggs (instead of large) to make this from scratch, you'll need to bake the cake for an extra 5-10 minutes. Make sure you have at least a couple extra eggs on hand in case you mess up while separating the whites. The cake is delicious as is, but also wonderful with amaretto drizzled on top of your slice. Angel food base adapted from Mel's Kitchen Cafe. This is a crowd pleaser, Cheryl. Thanks! This cake! Swoon. Any time there’s fruit involved I feel like it’s instantly healthier, so I can eat more – right? Oh, definitely! Plus, angel food is super light. Thanks, Kelly! It would be completely appropriate to eat this for breakfast, right?! This looks so delicious. I can’t wait to try this. Thank you for sharing! Luci’s Morsels | fashion. food. frivolity. We ate this for breakfast every day until it was gone, Lol! Thanks, Luci. I agree: store-bought angel food cakes are VILE. I love the almond extract in your recipe. And I will DEFINITELY be adding some liqueur to mine. YUM! Hahaha! I was trying to be polite, but you said it! 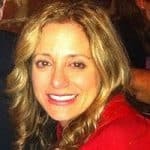 Thanks, Michelle, and enjoy! ps. this cake looks heavenly! Yes, we do, Linda! Thanks so much for your kind words. Wow! I just feel like picking up a piece and what a perfectly written recipe. Thanks so much, Pooja! It took me a while to get in all of my details, Lol! This is going to make someone very happy! Oh yes, I can vouch for that! Thanks, Christine!